CCIG wishes everyone a very Happy Easter holiday! On the 16th of February, the United Nations High Commissioner for Human Rights, Zeid Ra’ad Al Hussein, delivered a powerful speech on the fragile state of global affairs and human rights. Zeid gave his speech, entitled: “The Impossible Diplomacy of Human Rights”, at Georgetown University, Washington, D.C., upon receiving the annual Trainor Award from the university’s Institute for the Study of Diplomacy. Zeid offered a compelling and fierce denunciation of the rising trend of populist nationalism and a rallying call to the world on the need to uphold international institutions and norms in order to counter the threat of large scale conflict and effectively defend human rights. 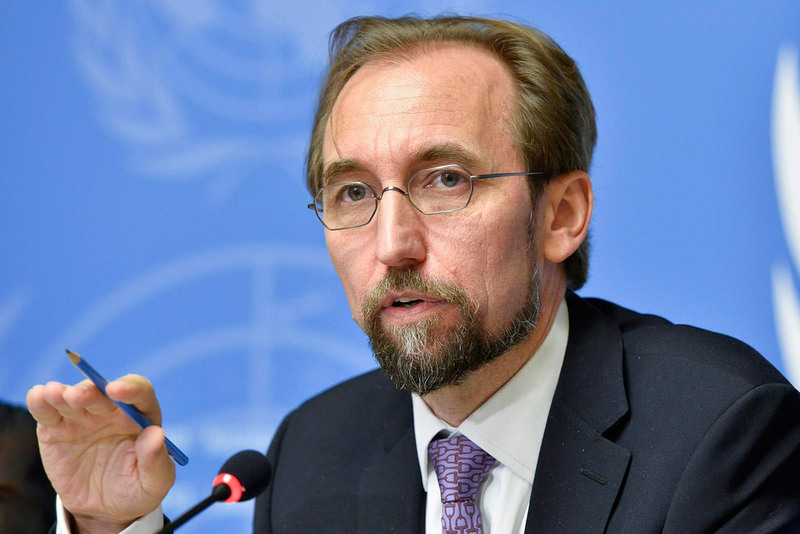 Warning against the danger of xenophobic rhetoric and demagoguery, Zeid stated: “time and again, humanity has lost its bearings on the back of half-truths and lies, and the results have been disastrous. And an essential cohesion at the heart of every social fabric, once textured and fluid, is torn apart and replaced by sharp social divisions.” He cited historical references, including to the Holocaust and Sarajevo in 1914 , as examples of the potential for social tensions to escalate into severe crimes and brutality. The High Commissioner concluded by sharing his vision of a rights based movement, that does not discriminate on the basis of faith, nationality, gender, or any other affiliation, unites human beings by their common decency and triumphs over any innate suspicion we might have of one another. He expressed his longing to be a part of such a movement and urged his audience to seek the same. Without this mass campaign, Zeid believes the future of the humanity hangs in the balance. 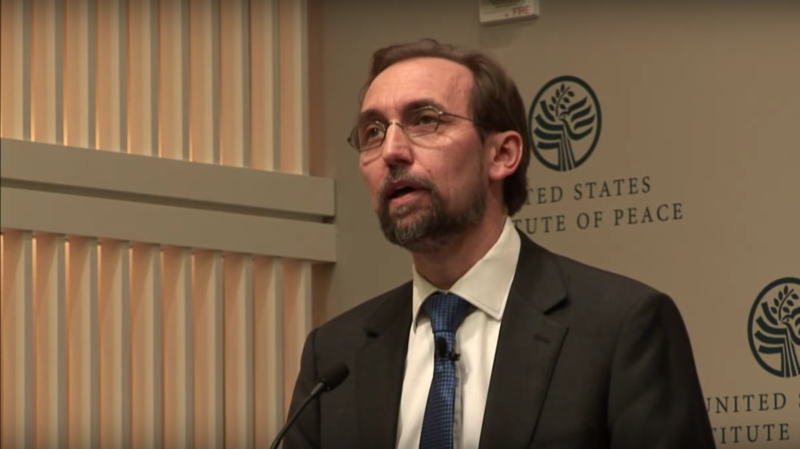 Please find a transcript of Zeid’s speech available, here, and a video of the event, here. No Comments to "A Powerful Speech by the High Commissioner for Human Rights"